This is gold refining unit, don’t cave to use double silver while refining. While melting gold you would recover silver on fine recovering. Chemical used on this unit are not harmful to mankind. On this unit real diamond does not get damaged (u can get gold separated without damaging any diamond).Refined gold is 9995-9999 on using this unit. Unit is unbreakable (no chance of breakage). While using this unit man power is not required to stand, there it will take to 3 to 4 hours for 1kg of gold to be refined. Unit can be used refinery 10 gm to 10kg. (Depends on capacity).Ventilated space is not required. That can be no mixing of any other metal.Holmark jewellery can be made without any difficulties. 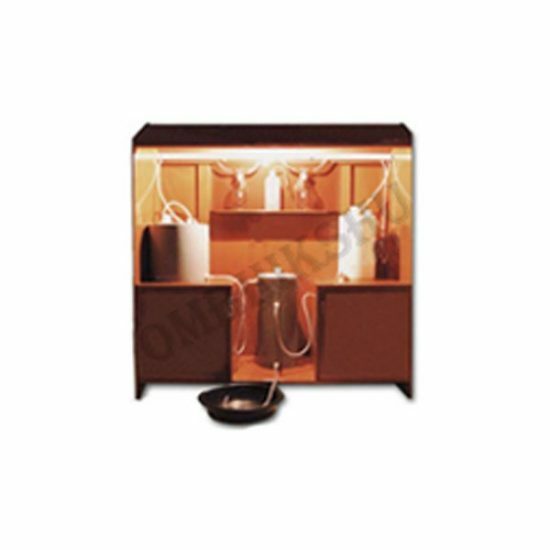 Unit is fitted with pollution control unit.80*80sq.ft space is enough to fix this unit. And 1kg of gold refining cost-Rs 700 to 800 only.